With the 40th year anniversary of Jim Svejda at KUSC, the station commissioned a short documentary as part of the celebration. The documentary has been chosen to open the L.A. Shorts International Film Festival. 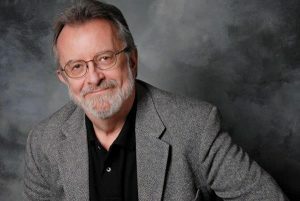 Jim Svejda, the host of “The Evening Program” and “The Record Shelf” at Los Angeles classical public music station KUSC, is the subject of a new short-film documentary that will get spotlight attention on opening night of the prestigious LA Shorts International Film Festival. “Jim Svejda: Between the Notes” was chosen as one of a handful of shorts featured as the festival opens on Wednesday night. The film celebrates Svejda’s 40th anniversary with KUSC and also recognizes his status as one of the most knowledgeable classical music hosts in the country. Directed by Daniel Zucker, with a cast including renowned concert violinist Anne Akiko Meyers, composer Thomas Newman and film director Nicholas Meyer, the short documentary highlights what Svejda has done for the classical music world during his time at KUSC. The station’s former president, Brenda Barnes, commissioned the film to commemorate Svejda’s 40-year milestone. Svejda is a nationally known American music commentator and critic. Each weeknight, he hosts the classical series, “The Evening Program” and since 1983 has also hosted “The Record Shelf,” a guide to the best in classical recordings. LA Shorts International Film Festival ranks among the most prestigious and largest international short film festivals in the world. The festival is accredited by the Academy of Motion Pictures Arts & Sciences, the British Academy of Film and Television Arts and the Academy of Canadian Cinema and Television. Now in its 22nd year, LA Shorts is the first and longest running short film festival in Los Angeles and the festival attracts Hollywood industry professionals and emerging undiscovered independent filmmakers. The 2018 festival will showcase 333 short films from 23 countries and is taking place from July 25 through August 2. For more information and tickets, visit the website www.LAshortsFest.com. Classical KUSC is the largest and most listened to public radio and non-profit classical music station in the country. KUSC is dedicated to preserving classical music as a living art. Located in downtown Los Angeles, Classical KUSC uses digital transmission technology to broadcast commercial-free uninterrupted classical performances. The non-profit, listener-supported station has been broadcasting for over 60 years. The station is a broadcast service of the University of Southern California at 91.5(FM) in Los Angeles and Santa Clarita; 88.5 KPSC in Palm Springs; 91.1 KDSC in Thousand Oaks, 93.7 KDB in Santa Barbara and 99.7 KESC in Morro Bay/San Luis Obispo. USC Radio Group is the driving force behind the success of rich, diverse arts communities in Greater Los Angeles, Palm Desert, Santa Barbara, the San Francisco Bay Area and Monterrey Bay. We act as a much-needed portal to more than 1,500 arts organizations in these regions, which expose 37 million attendees a year to the wonder and beauty of the performing arts. One in four of these organizations is a music organization; the rest include theatre groups, museums and dance companies.